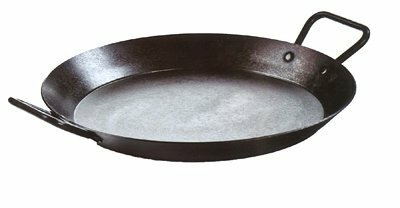 Lodge CRS15 15" Seasoned Carbon Steel Paella Pan - Great or Die! 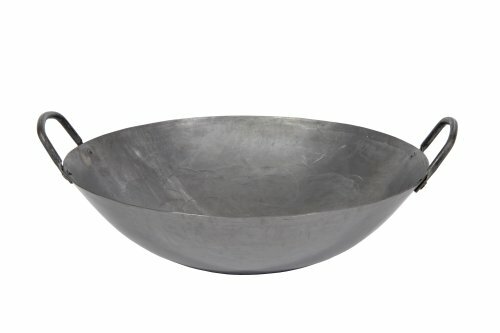 You can’t go wrong with Lodge and this Paella pan is excellent. This also makes an awesome griddle surface that can be placed on just about any Kettle or Large Kamado for rocking breakfast or smashing burgers! We have one ourselves. 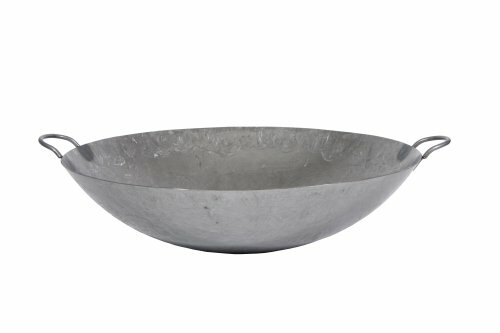 Be aware this is a CARBON STEEL pan, not cast iron. Lodge is often synonymous with cast iron but not in this case. Sweet cookware.